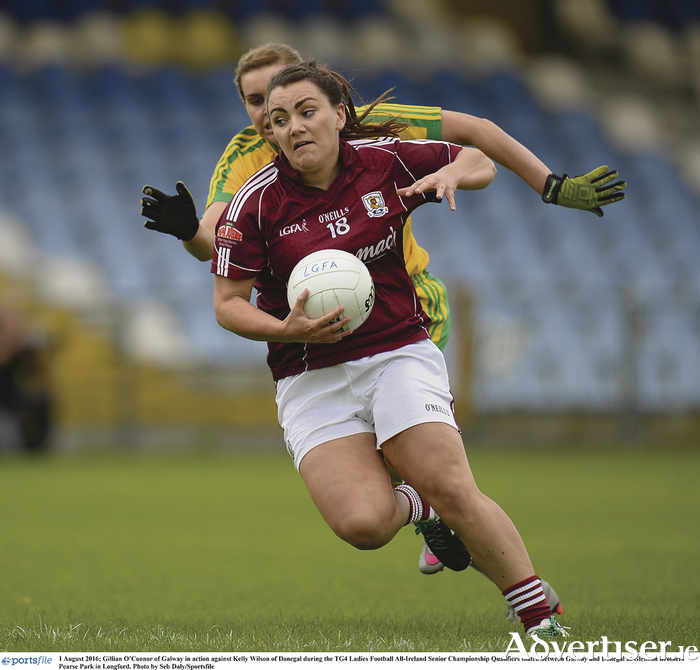 The Galway ladies lost out narrowly last Monday to Donegal in the TG4 All-Ireland ladies' senior football championship in Pearse Park in Longford when they went down by a single point, on a score-line of 3-15 to 4-11. Donegal's Yvonne McMonagle, who hit 1-8 in total, scored a winning free with the last kick of the game to send the Northerners into the last eight and a date with Dublin. Donegal looked home and hosed with three minutes to go, however Roisín Leonard hit 1-1 after coming on as a late substitute to give some hope to Galway. However, it was not to be for the Tribeswomen despite hitting four goals, and when McMonagle was fouled, she picked herself up and hit the winning point with the clock at zero to leave the Galway players gutted at their narrow defeat. Page generated in 0.1097 seconds.